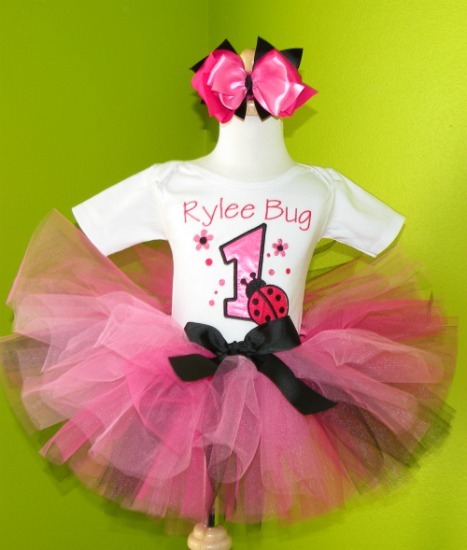 This Hot Pink and Black personalized birthday ladybug tutu set is available for almost any age due to popular demand! The full set includes a personalized onesie or shirt, Hot Pink and Black Ladybug tutu 8.5", and a matching headband with a large bow. This item is custom made in the US. Please allow up toÂ 8 business days for your order to be created, plus shipping time.